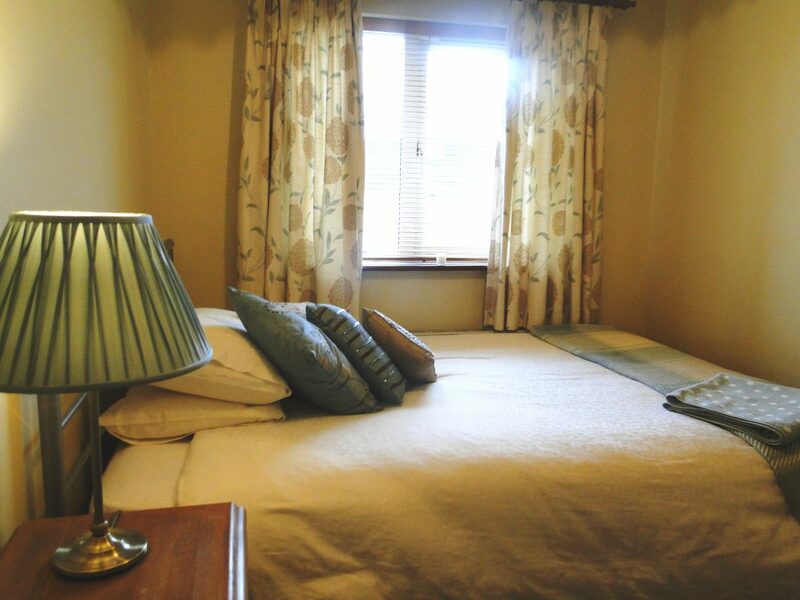 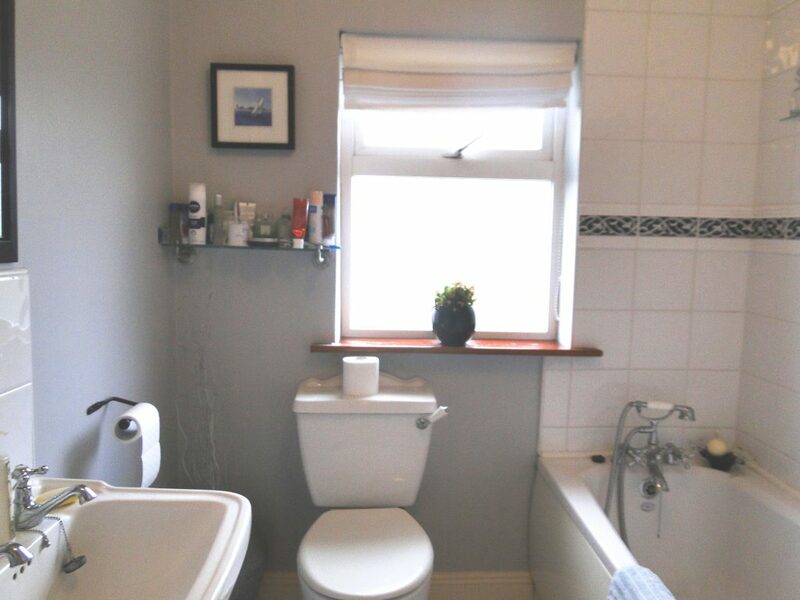 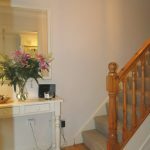 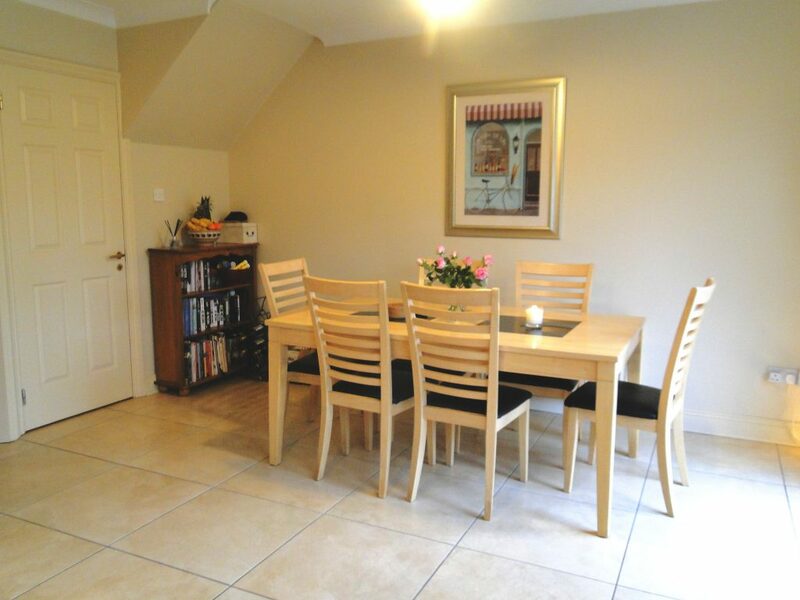 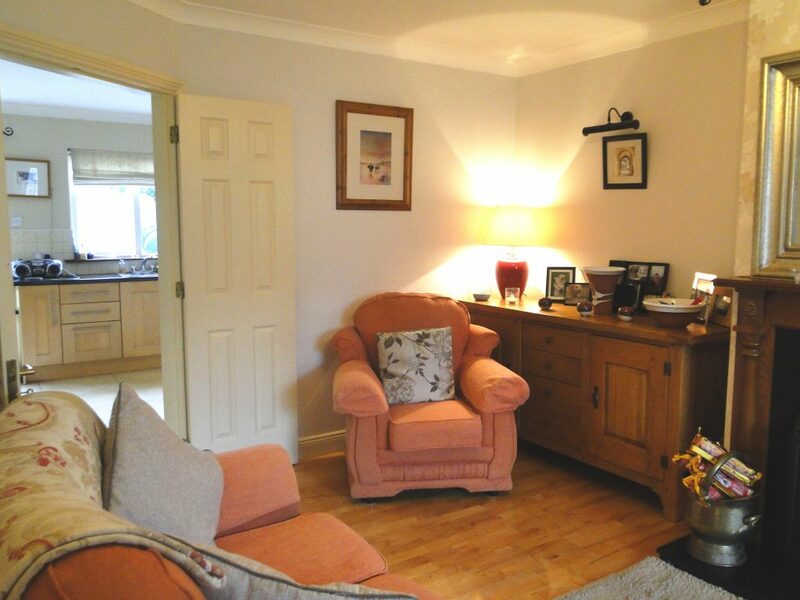 Exquisitely presented, this property is in show-house condition. 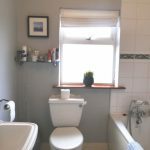 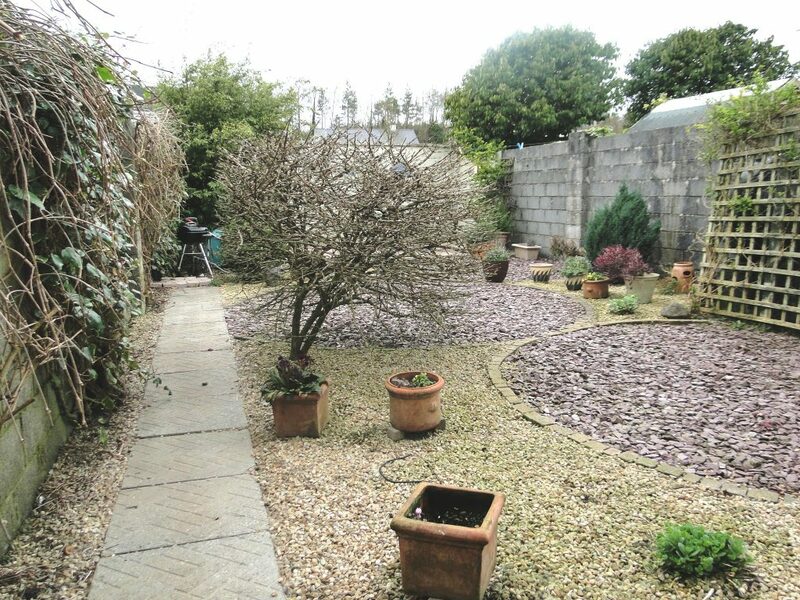 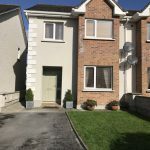 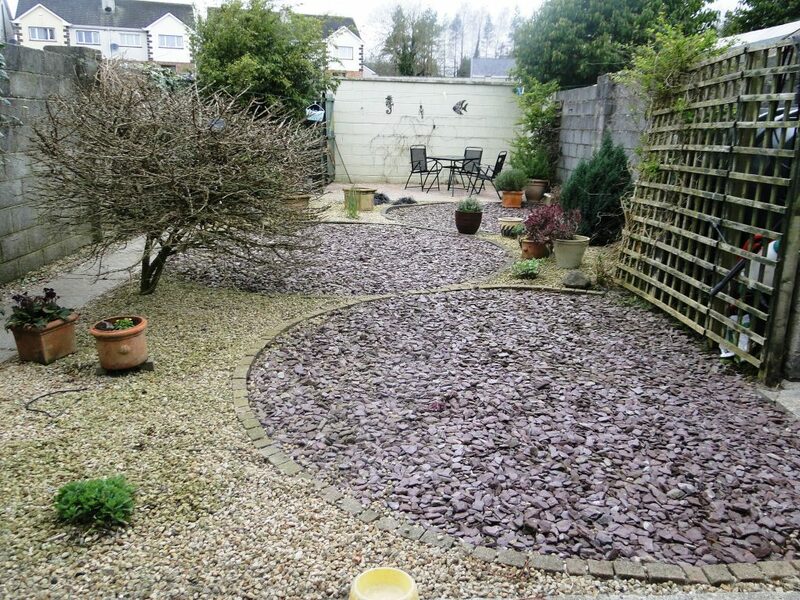 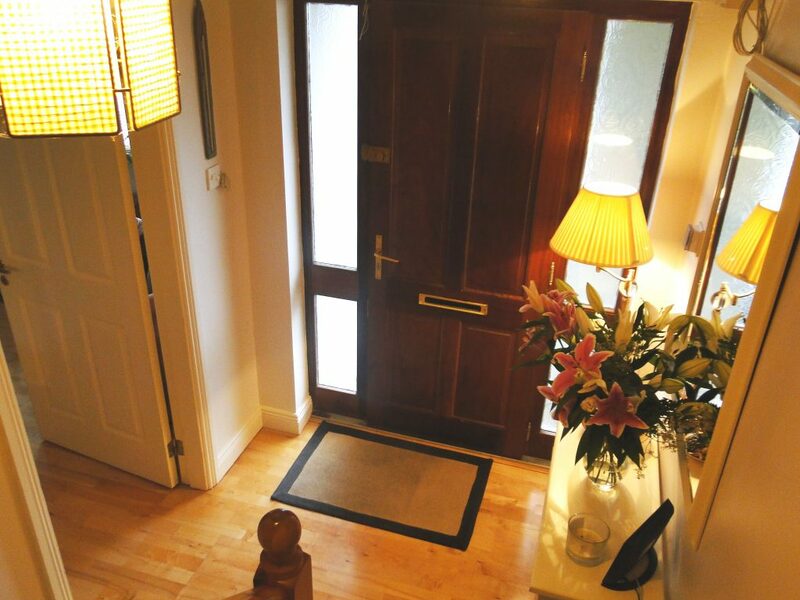 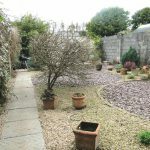 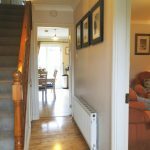 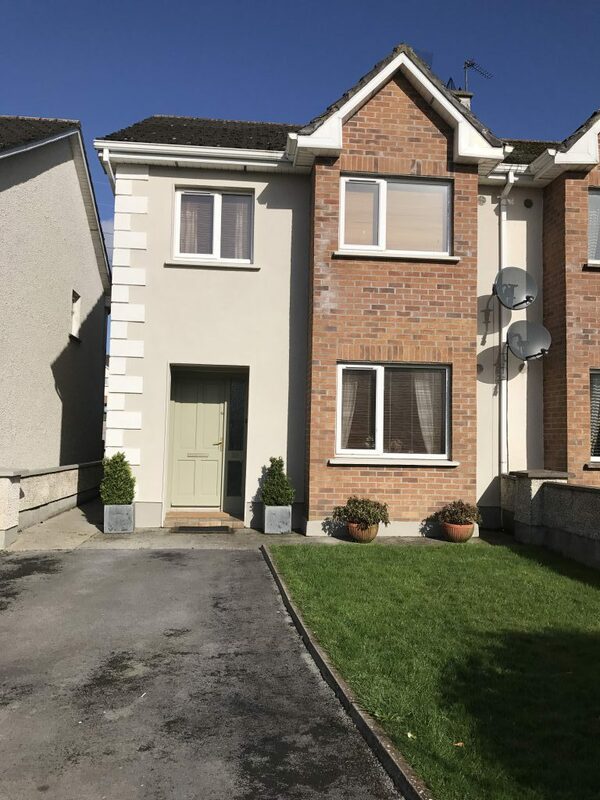 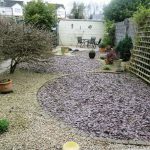 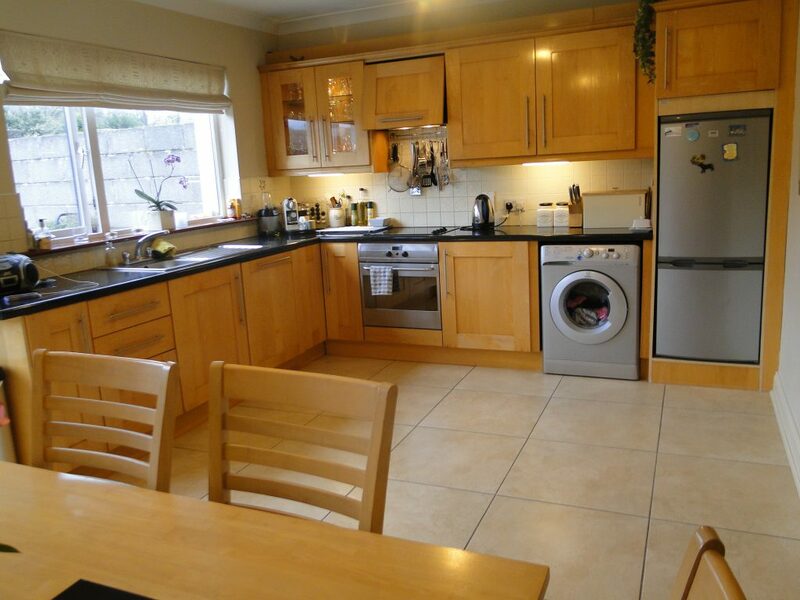 Spacious three bedroom semi-detached property with large rear garden is proudly brought to the market by Joe Naughton Auctioneers. 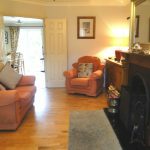 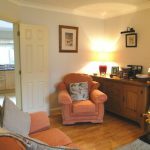 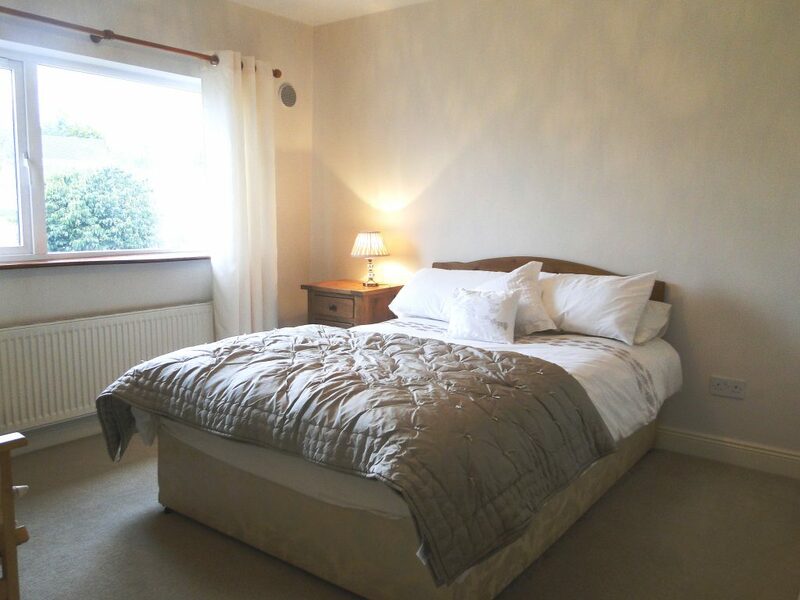 This property is ideally located in a small private family estate, located a stone’s throw away from motorway access and conveniently accessible to all amenities. 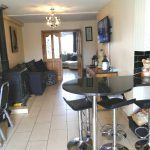 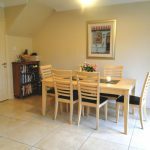 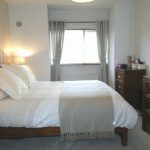 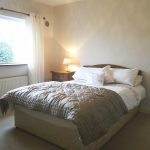 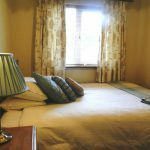 The property consists of an open plan kitchen/dining with rear double door access and a separate living room, three large bedrooms; the master room being ensuite are all accommodated on the first floor along with the family bathroom. 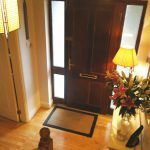 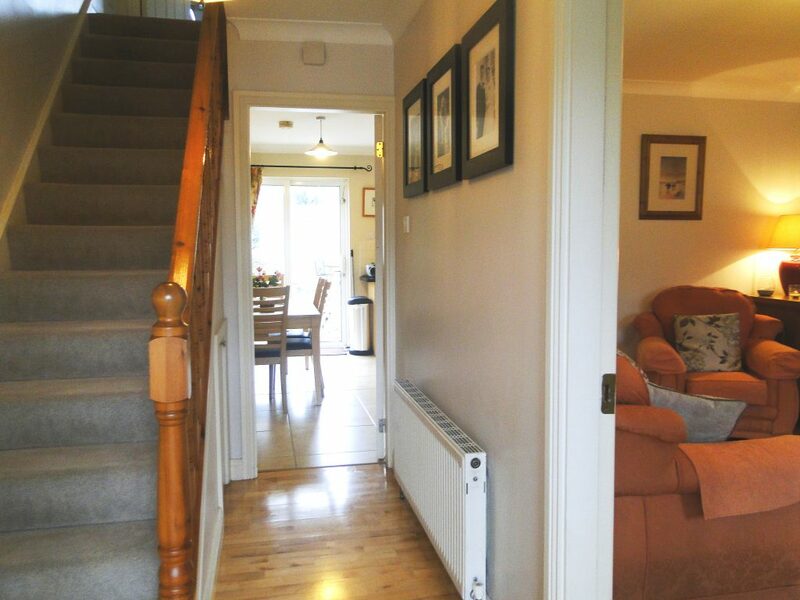 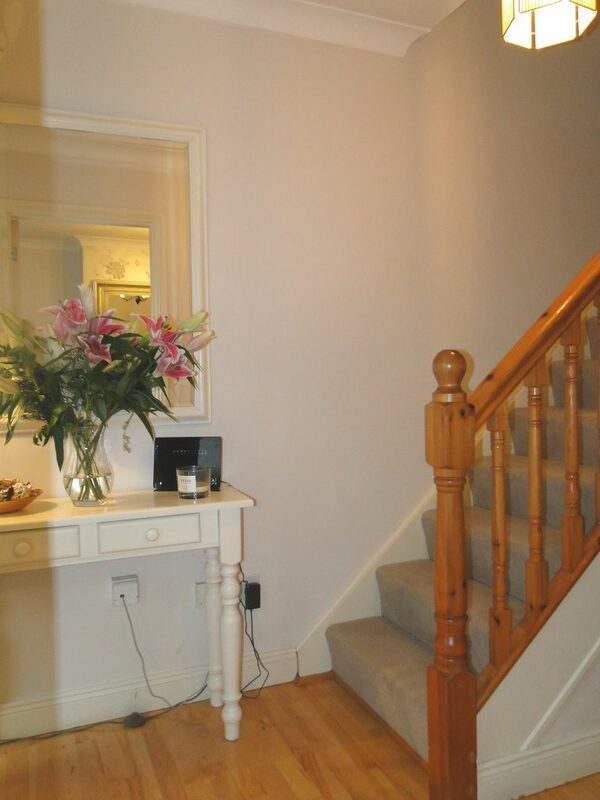 Entrance hall 13’ x 6’ Solid Timber floor covering, stair way carpet covering, leading to first floor. 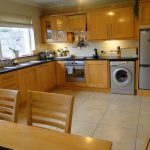 Kitchen / Dining Room 13’ x 17 ’ Floor tiled, solid timber kitchen units fitted, plumbed for dishwasher featuring patio doors to the rear garden. 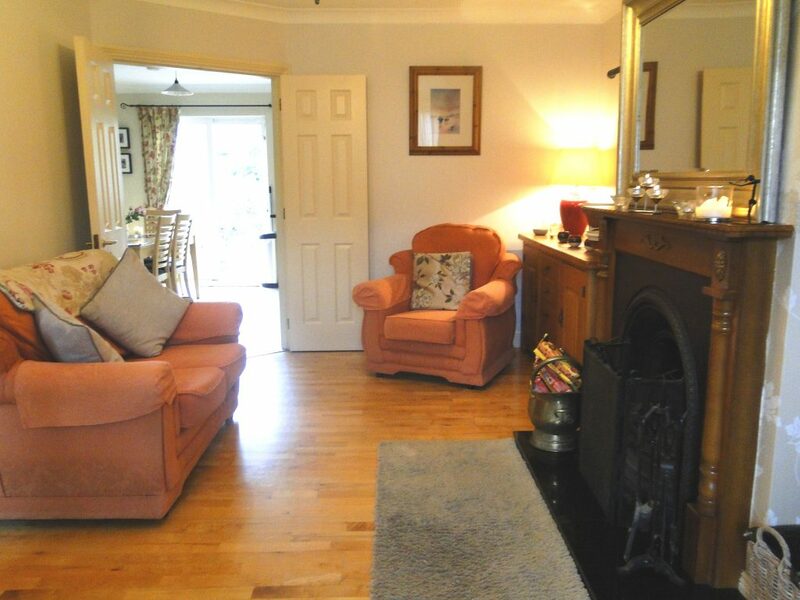 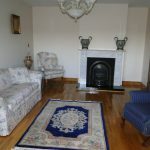 Sitting room 20’ x 12’ Timber floor covering, cast iron fireplace with timber surround, large bay window. 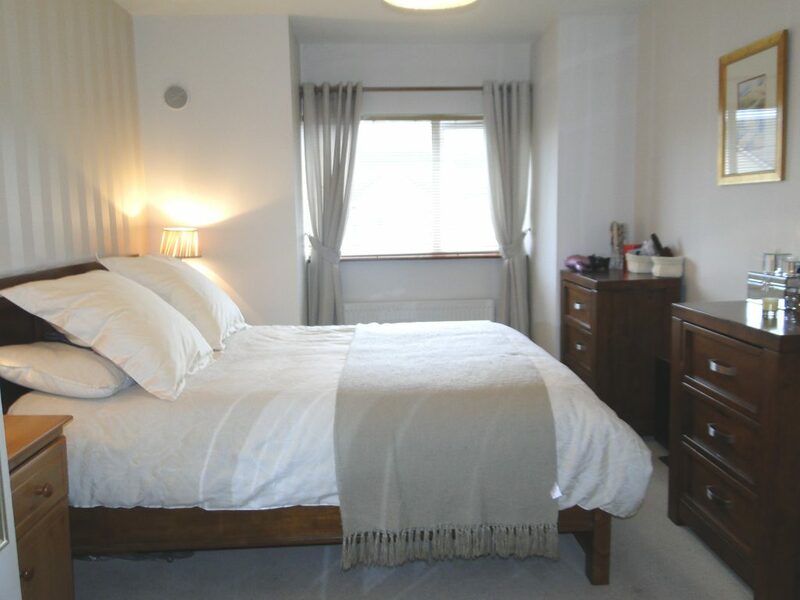 Bedroom 3 10’ x 7’ Built in wardrobe with carpet floor covering.